It’s a sultry summer afternoon. The lane is almost empty. A watermelon seller dozes off by the piles of watermelon…..some sculpted open like a flower to reveal the rich juicy pulp inside, assuring the buyer of the sweetness of the fruit. Some rickshaws parked under a huge Peepal tree have their owners sleeping in them with the bodies curled and twisted to fit into the small seat with just the turbaned heads projecting out from one end. It is no business time for them. The burning tar road throws up mirages, distorting the approaching traffic beyond comprehension. A strange figure turns out to a milk man tottering in his bike. With a towel around his head and balancing a multitude of milk cans some full some empty, he is the only person on business in an otherwise lassitude filled afternoon. The silence is shredded by a bunch of boisterous boys seemingly school going and returning from their coaching classes. The heat fails to trouble them as they laugh and talk in high decibels. They collect around an ice cream cart. The boys huddle around the vendor and crane their neck as he opens the lid of his freezer more to get some reprieve from heat than choosing their flavours. My tongue clicks and then I arrest my temptation for ice cream. Loads of fat and calories I tell myself. Back home I decided to make my own ice cream- A vegan ice cream. Cook the mixture on medium heat. Bring it to a boil. Lower the heat and cook for 10 minutes. Stir continuously. The mixture will thicken. Leave it to cool. Empty the cool mixture in a steel bowl. Fill another bowl (bigger than the one with mixture) with ice cubes. Let the mixture bowl sit on it. Once the mixture becomes chilled, cover it with a lid and keep it in the freezer. Check after 2 to 3 hours. It should have set in the sides with the center being soft. Churn it in the blender or with hands using a ladle or a whisk. Pour the mixture back into the bowl. Repeat after 2 to 3 hours. Let it set finally for 2 to 3 hours or till you serve. 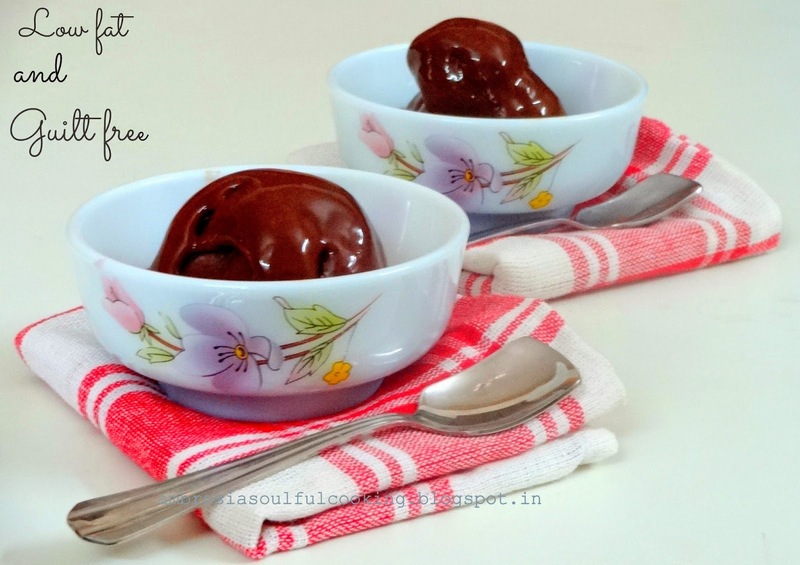 Enjoy healthy, low fat, guilt free, homemade creamy dreamy vegan ice cream. Namita.. such a lovely write up. I was with you on that parching sunny day as I read that first para. So beautifully described, I could imgine the scene as I read the lines. Lovely! And the ice cream, oh my! I had no clue you could make ice cream with coconut milk! 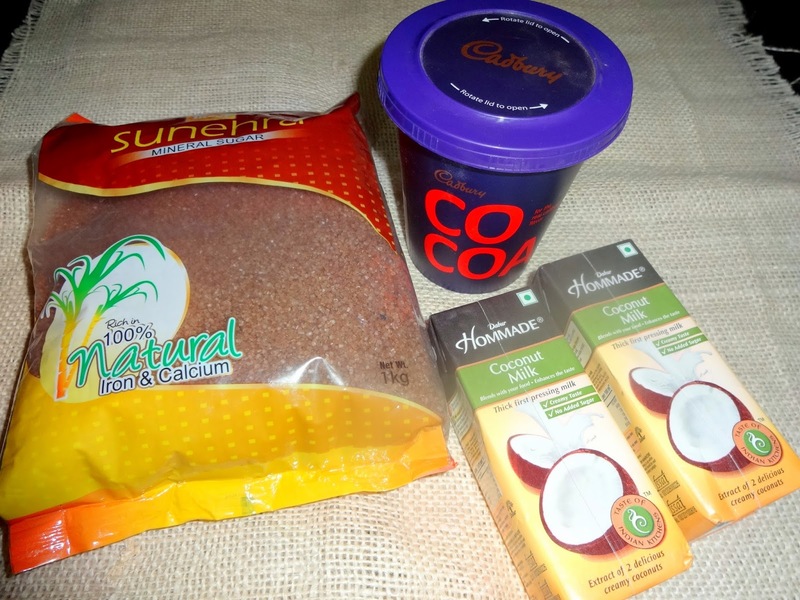 I have not heard of mineral sugar though... wonder if I get it easily in any super market. Will check it out. Thanks for the recipe! It is hard to get my head around it being hot anywhere while I am assured it is only just above 5C outside. Walking Earl this morning all swaddled up I could seriously appreciate that it was only 2C at the time! I love this recipe. 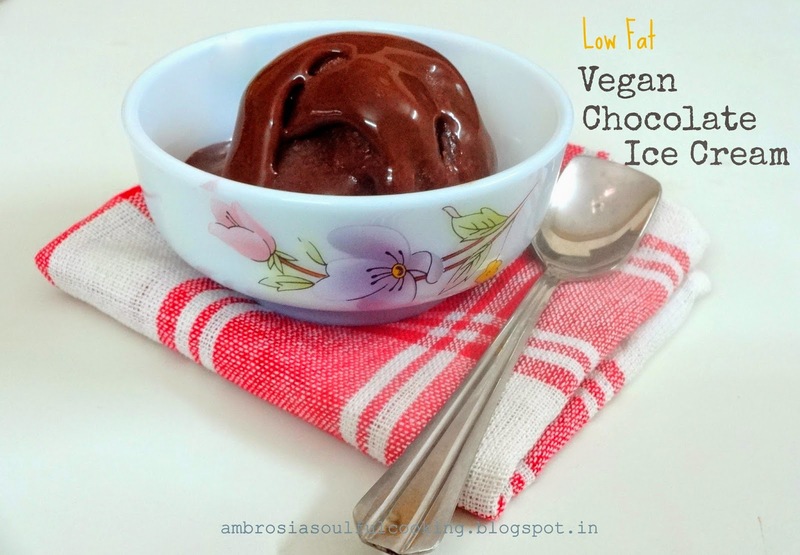 I have seen more than my fair share of vegan ice cream recipes but this one is distinctly different and very interesting. I love that cooking the ingredients together thickens it into a sort of thicker vegan custard. That sugar is interesting. I have never seen or heard of mineral sugar before. I recently bought some red sugar (still can't find out what it actually is!) from an Asian grocery store in the city but haven't ever seen mineral sugar. It looks most intreguing. Hopefully this recipe doesn't rely on that mineral sugar to thicken it as otherwise my vegan icecream that I am planning to make this weekend (after another trip to the city) is going to be a flop! Thank you for such an interesting and informative share Namita. I hope you don't mind me pinning the recipe for more vegans and like minded people to find? Hello Nandita and Fran, You may use any sugar that is easily availabe. I would love to use muscovado sugar next time. Raw sugar and less refined sugars give a healthy touch to the recipe. All the pictures in this blog have been taken by Namita Tiwari. Powered by Blogger. Welcome to our world in the foothills of the Himalayas where I live with my family, pets, animals and mesmerizing nature all around. Baking is my passion. Our home is often flooded by the heavenly aroma of freshly baked bread or the buttery aroma of healthy cakes. Nature inspires, nature motivates and I love to capture the beautiful moments in my photographs. Sharing a slice of our lives along with simple, vegetarian, vegan and healthy bakes and other kitchen escapades and stories from the foothills.